1. Are you, Carol, the correct artist for me to work with? Here are some things to consider when choosing an artist. 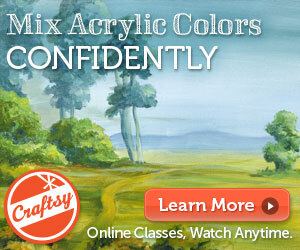 First, determine the style of painting you like. Is my work in alignment with that style of artwork? My style is expressive-representational. If you prefer a much more broad brush approach or bright intense colors or a caricature, then it would be more appropriate to work with another artist. I may be able to refer you to someone. Is there a particular medium that you prefer, such as, oils, pastels, watercolors or collage? Ask the artist about their experience painting commissions. You are welcome to speak with someone who has worked with me. I would also recommend that you read through my web site to glean a sense of who I am as an artist. I welcome any questions you may have. 2. What are your values in working with clients? 3. What is it like to work with you (if you have never done so before)? I approach every commission as a collaboration – you the client working with me in creating a painting you can cherish & share for a lifetime. I strive to listen with compassion to assure I understand your expectations. 4. Will I be guaranteed satisfaction? Yes, it is of utmost importance that you are completely satisfied with the Memory Portrait you commission. In fact, it is my intent to exceed your expectations! 5. What if I don’t understand Carol’s process? Call me and let’s chat! Communication is key in providing you your desired result. 6. I feel inadequate when talking with an artist because I don’t know art ‘language.’ Can I trust you to understand what I am looking for in a painting? I will make every effort to bridge any language gap that may occur. It may be helpful for you to speak to one of my references. 7. Will there be extra costs if I decide to change the agreed upon image? Minor changes always occur during the painting process, but any major additions or omissions will require extra time and would cost extra. I would communicate that to you before any changes are made. Hopefully these would be avoided before the preliminary stages are completed. Approvals during the process usually take care of any changes. 8. Will a contract be necessary? A deposit? A contract is appropriate and a good way to communicate expectations, terms and conditions of our business relationship. I will provide one to you via email. A 33% down payment is requested before any sketching or painting begins. 9. How do I choose colors for my painting? Color can be intimidating. 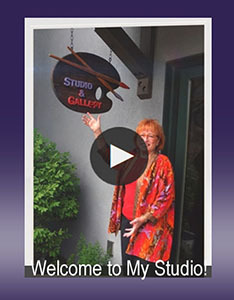 I will guide you through this process based on my extensive experience in using color in my work. 10. Who holds the copyright or the reproduction rights of the image? The artist always holds the copyright to the image. You have commissioned me to create a painting, but I have control of any reproductions of that image. For example: I have the right to create note cards, prints, or post images on my web site. If you desire reproductions, I can generate those for you, charged at an item by item basis. 11. If you are painting my dog/horse, what is the best way to photograph him/her? It is best to take photographs outside either early in the day or later in the day, because the shadows are most interesting. Some sun is necessary. Get at eye level with your dog and take SEVERAL photographs – the more the better. It is also recommended that you use your telephoto and zoom into the head of the dog because this decreases the distortion of its nose. Another tip: have the owner hold the dog while someone else takes the photo. The use of the flash is also discouraged because it washes out the shadows. A written handout on how to best photograph your pet can be provided if you wish. 12. How long does the commission process take? Usually a commissioned painting will be completed between 4-6 weeks, depending upon the waiting list. Your level of involvement also impacts the time needed. 13. Give examples of commissions that you have completed that have highlighted your career? I was commissioned by Rick Aquilera, professional baseball player for the Minnesota Twins, demonstrating his three pitches. As a long-time baseball fan, it was great fun and he was a delight. And recently, I painted 4 dog portraits for one family. I feel every commissioned is an honor & privilege. 14. Do you work with people who live out of town? Yes and I have done so a number of times. Telephone conversations and email have been very sufficient.